It is questions like these that make me love working on cosmetics! After a few batches and tweaks in the formula, I've sent the bottle above to Scotland so Stuart can give this product a whirl. My head already loves it, so I'm hoping his hair and scalp will be equally pleased. 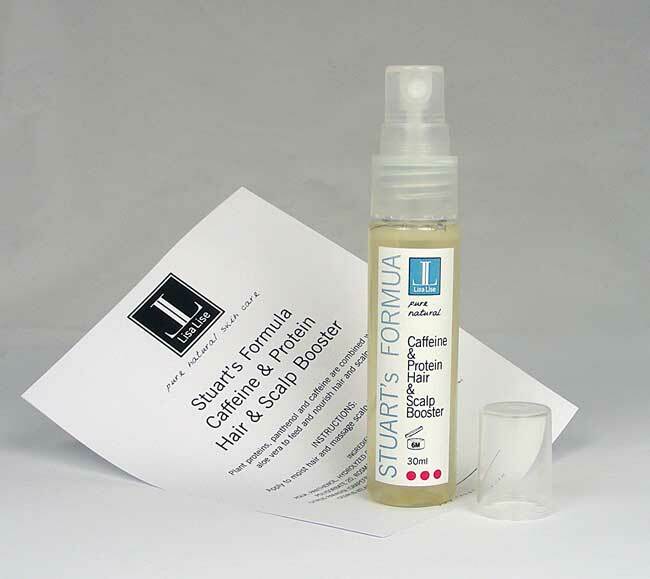 And, because it would never have seen the light of day without his input, it has been duly named: Stuart's Formula – Caffeine & Protein Hair and Scalp Booster. Thanks for the inspiration Stuart – I can't wait to hear your feedback!